Oh dear. Poor Charles Leclerc. In the week when his dream move to Ferrari was announced, he arrived at the Singapore Grand Prix full of confidence, but it is safe to say that the closing moments of P1 didn't exactly go to plan. 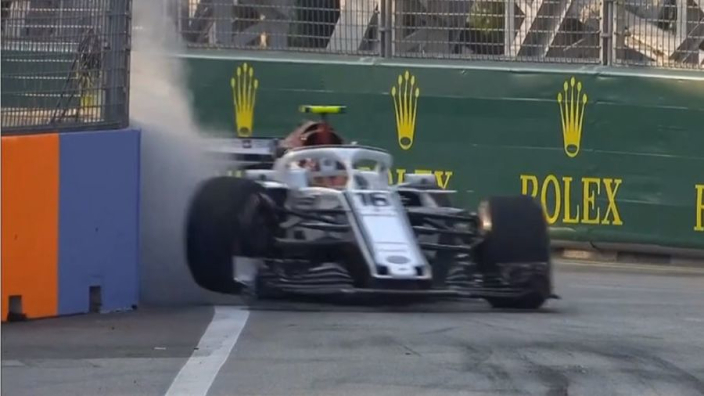 Nearing the end of the session Leclerc made a pretty spectacular misjudgement at turn 13, crashing his front right tyre into the wall, damaging the suspension and the tyre, his car limping out of the session. It was unquestionably driver error and you can watch the incident below.